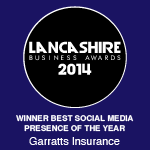 Garratts Insurance Brokers Limited (‘we’, ‘us’ or ‘our’) are committed to protecting and respecting your privacy. The data controller for your information will be Garratts Insurance Brokers Limited, Camden House, 2 Camden Place, Preston PR1 3JL. ICO Registration 582592.
other details/records that may be necessary to assist us in placing your insurance needs potentially including special categories of personal data such as health and criminal convictions. Your personal information may be collected directly from you during the process of setting you up as a client of ours or during the course of taking instructions from you or providing you with advice. We may also collect information from third parties including, background check agencies, credit reference agencies and other online sources. We will only use your information on the basis that it is necessary to administer your insurance contract or help you make a claim. Where we need to pass information to other firms, it will only be for that purpose. These firms will be insurers, other insurance brokers and firms handling or assisting in the handling of claims. It includes finance providers and firms that process or administer our records. When we contact you, it will either be for the above reason, or because we have a legitimate interest in marketing related products e.g. to provide you with information about our services; to invite you to events or seminars that may be of interest to you; to provide you with updates about topics that may be of interest to you. We may share your personal information with third parties, where this is reasonably necessary, for the purposes set out in the policy. Third parties may include other brokers, insurers, auditors, loss adjusters, solicitors, regulatory bodies (such as the Financial Conduct Authority), our data processors providing business support services and law enforcement agencies. We may also disclose your personal information with other third parties, for example in the context of the possible sale or restructuring of the business. Data may also be disclosed if we are under a duty to share your personal data in order to comply with any legal obligation, or in order to enforce or apply our terms of business and other agreements from time to time. This includes exchanging information with other companies and organisations for the purposes of fraud protection and credit risk reduction. The personal information you provide to us will not be transferred and stored outside of the European Economic Area (EEA) for the purposes of carrying out administration and other functions necessary to provide our legal services to you. Where we rely on legitimate interest for the processing of your personal information, or for the purposes of direct marketing, you have the right to object to the processing. There may be occasions where we are unable to delete records. We will discuss this with all clients who request any data to be deleted. We will hold your information for a minimum of seven years after your relationship with us ends. Personal information may be retained for as long as necessary to comply with our legal obligation, or in order to protect yours or another person’s vital interest. If you consider that our processing of your personal information infringes the Data Protection laws, you have the right to make a complaint at any time to the Information Commissioner’s Office (ICO). 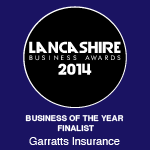 By email at office@garrattsinsurance.co.uk or write to the Garratts Insurance Brokers Limited, Camden House, 2 Camden Place, Preston PR1 3JL. We reserve the right to revise this Notice or any part of it from time to time and will provide you with a new Privacy Notice where any substantial updates are made. We may also notify you through other means, about the processing of your information.